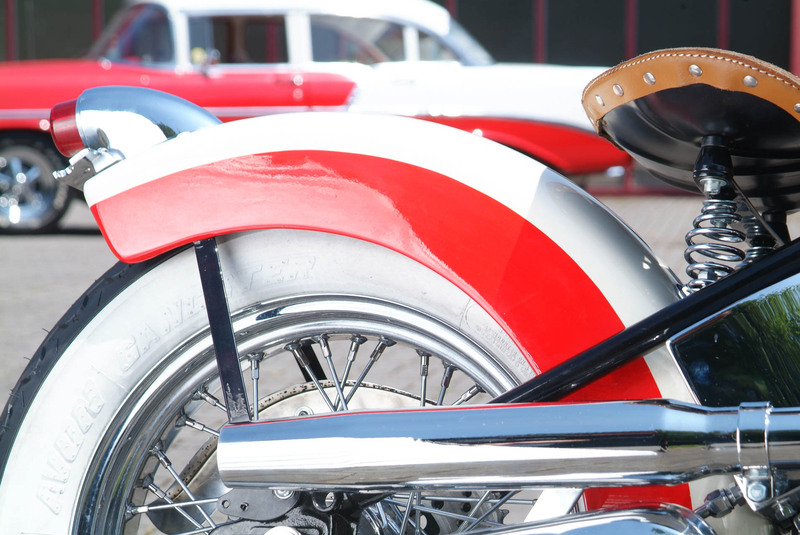 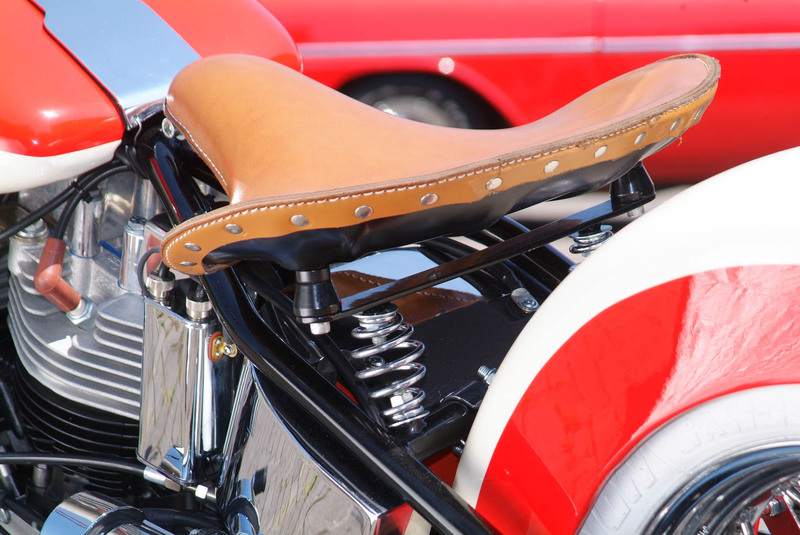 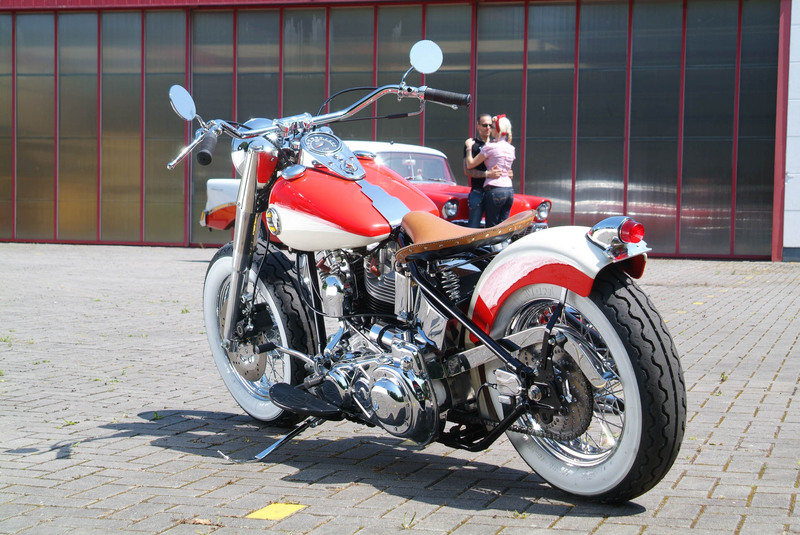 A vintage bike as authentic as possible in a discreet bobber look, with sensible brakes and electric starter. 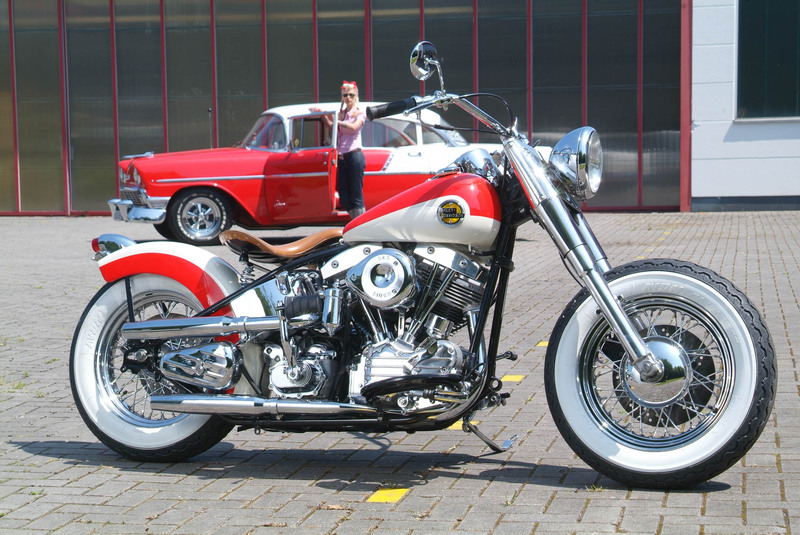 The templates for us were pictures from books that were full of sticky notes and short notes. 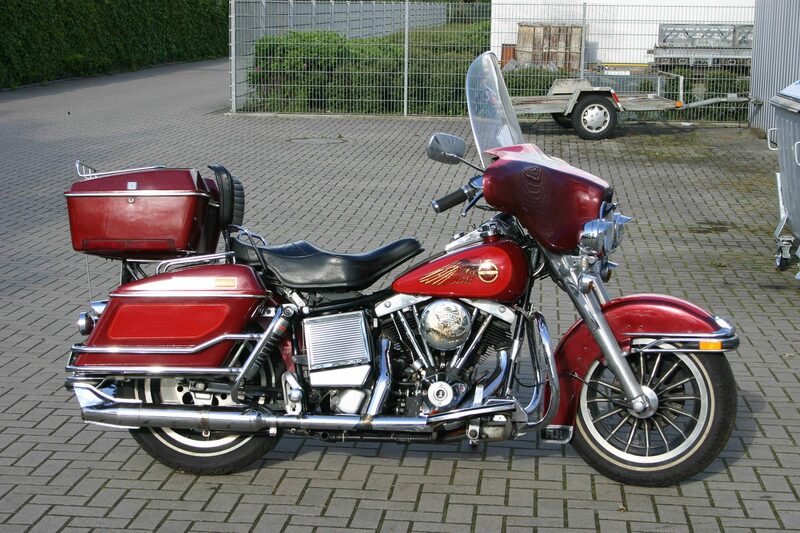 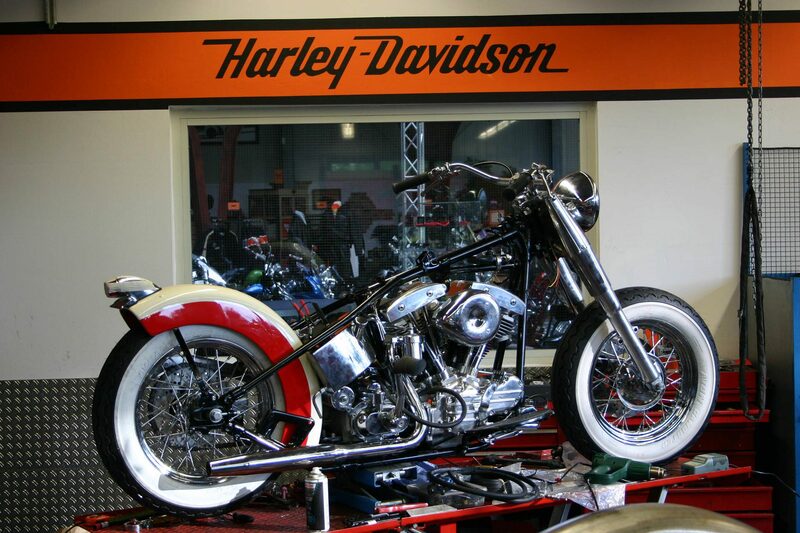 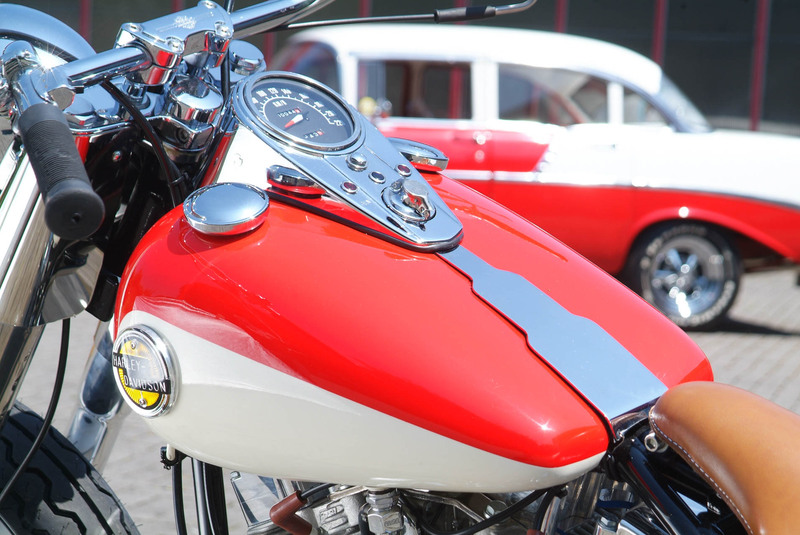 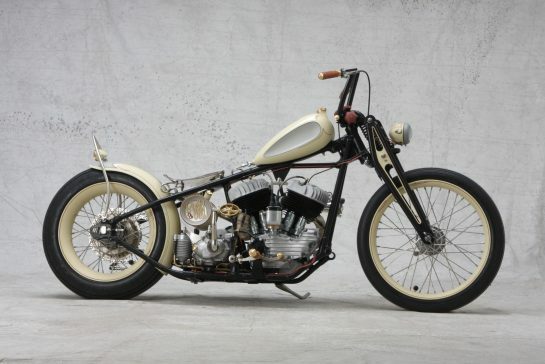 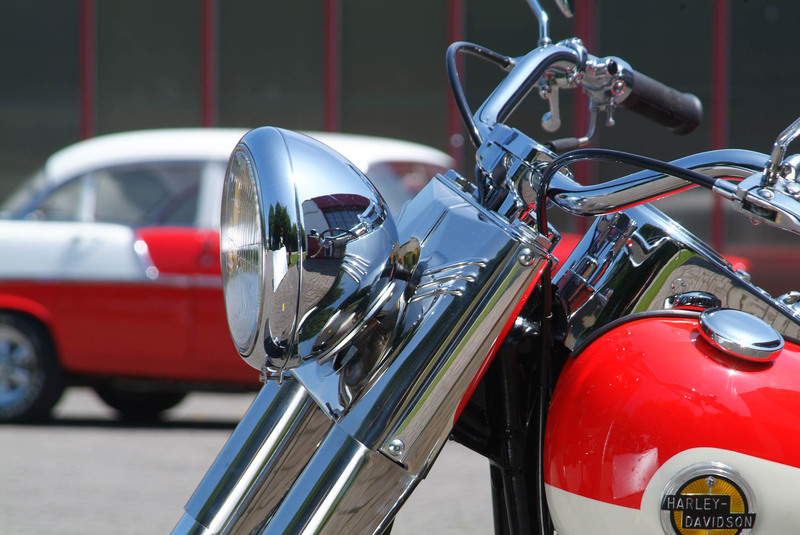 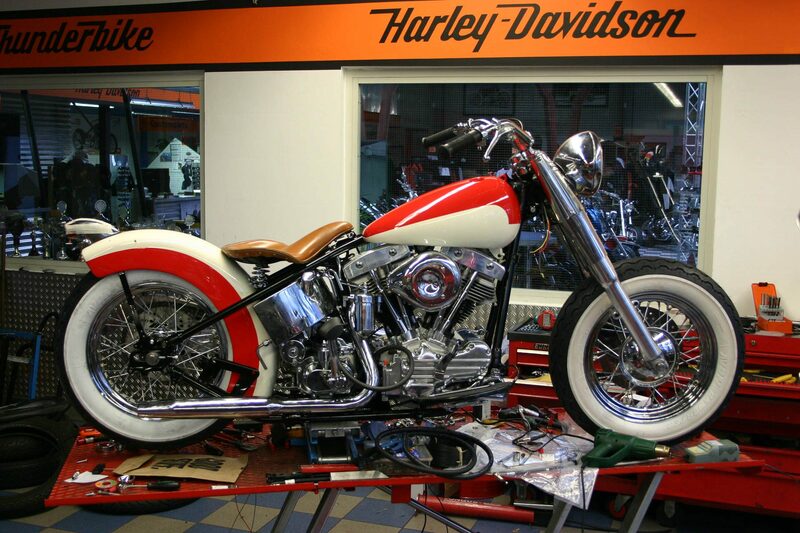 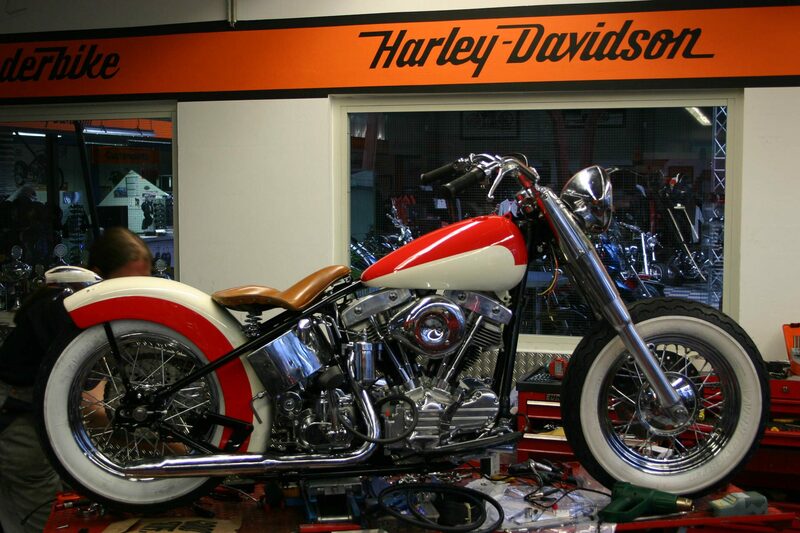 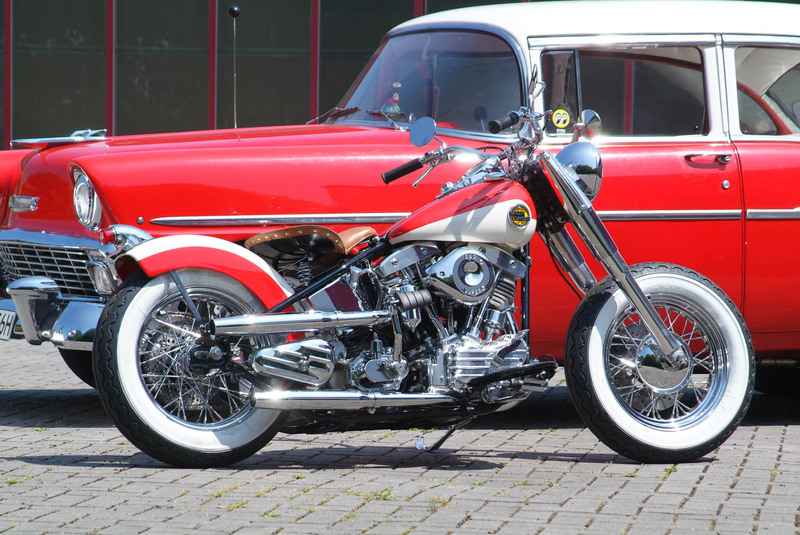 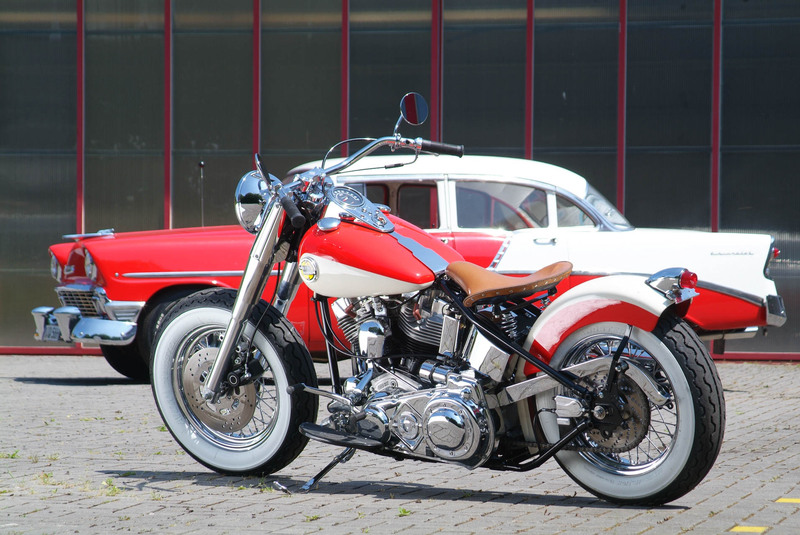 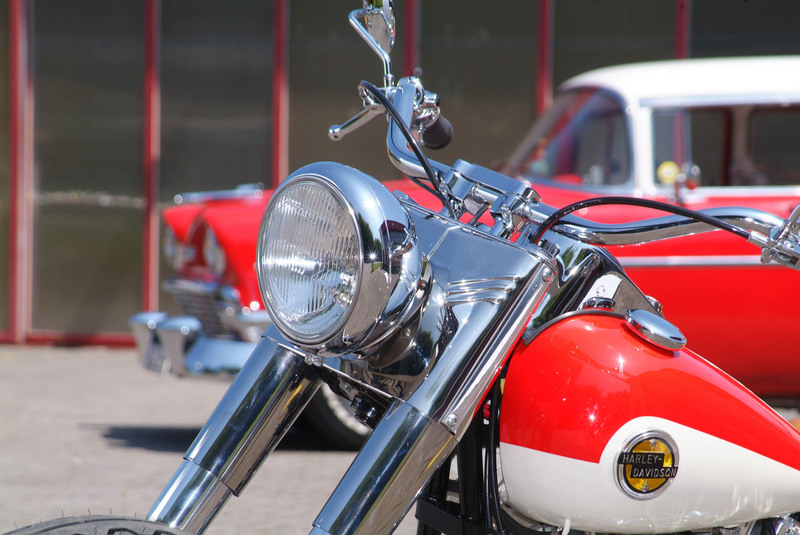 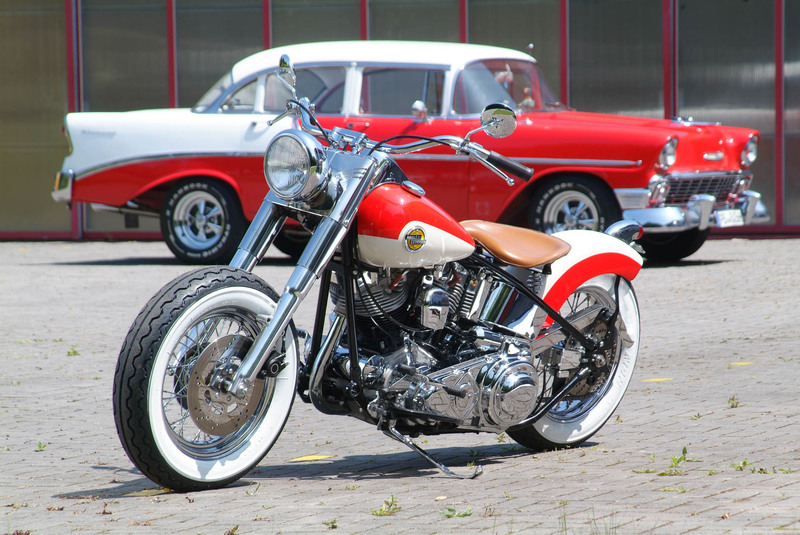 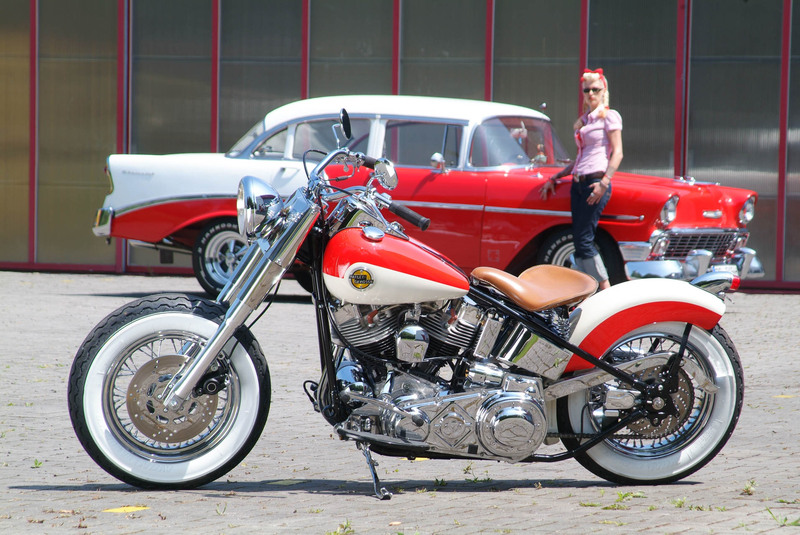 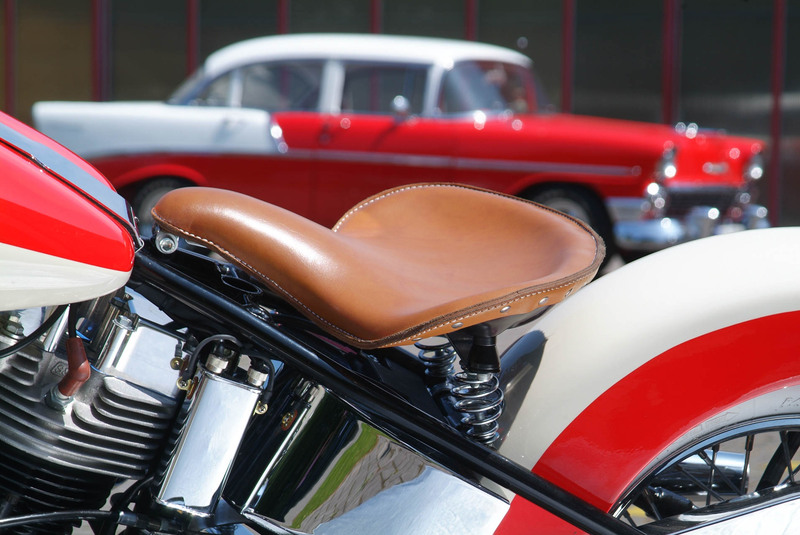 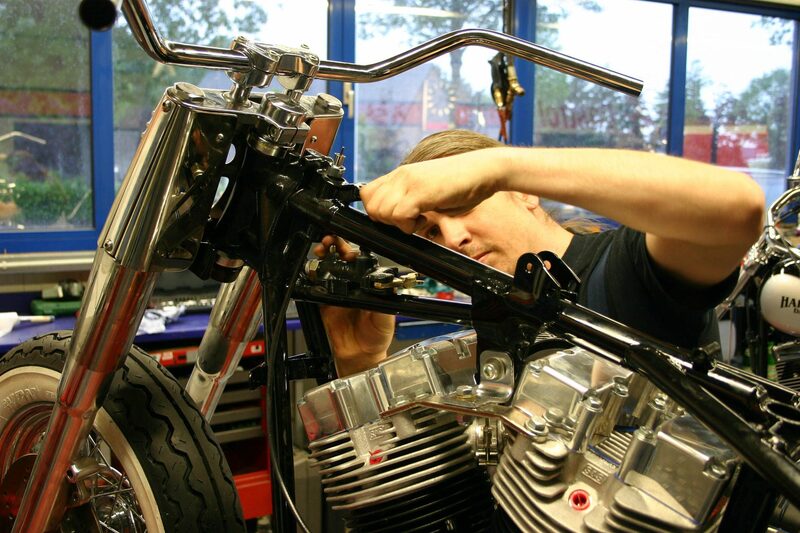 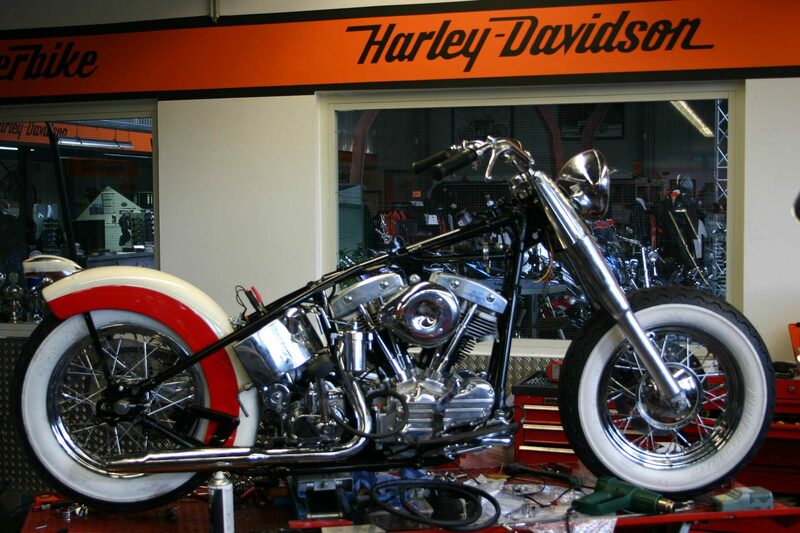 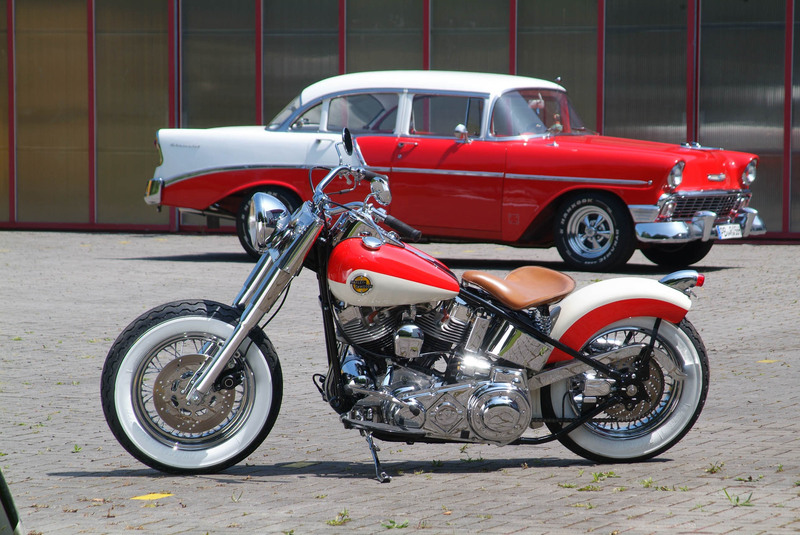 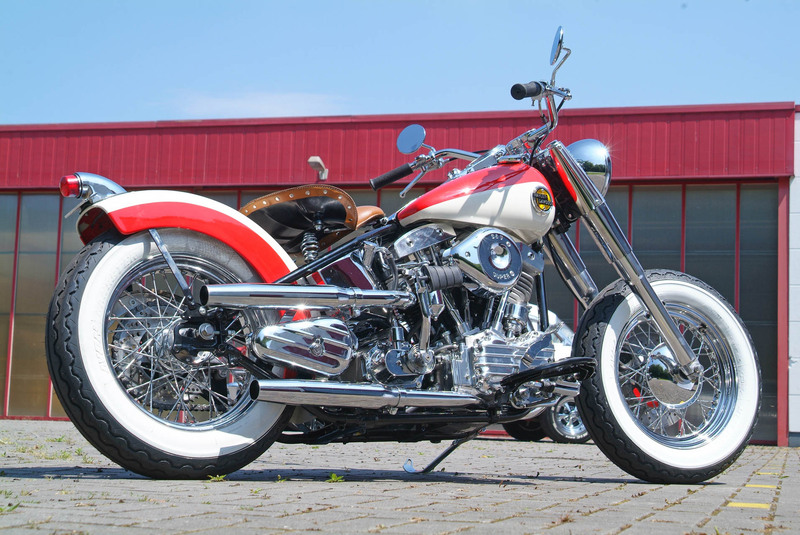 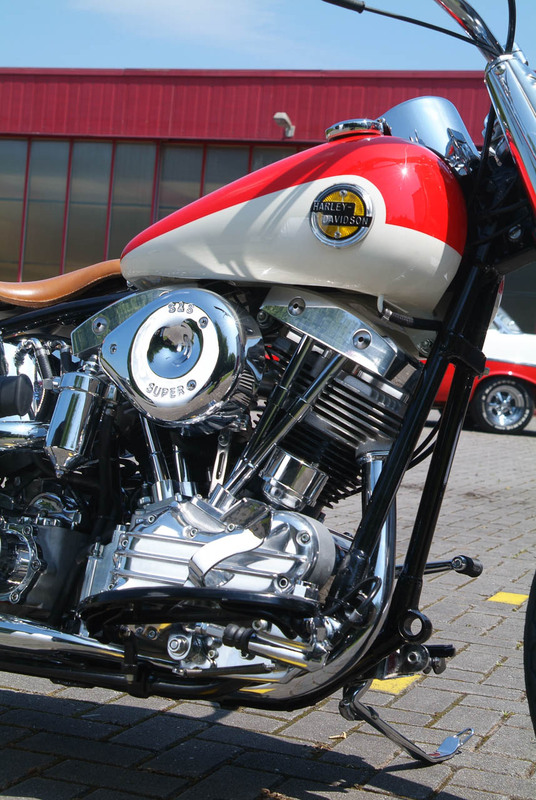 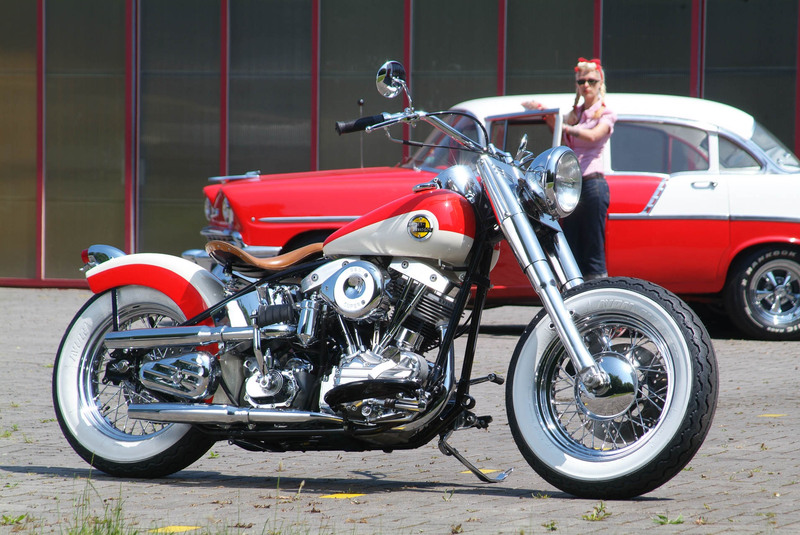 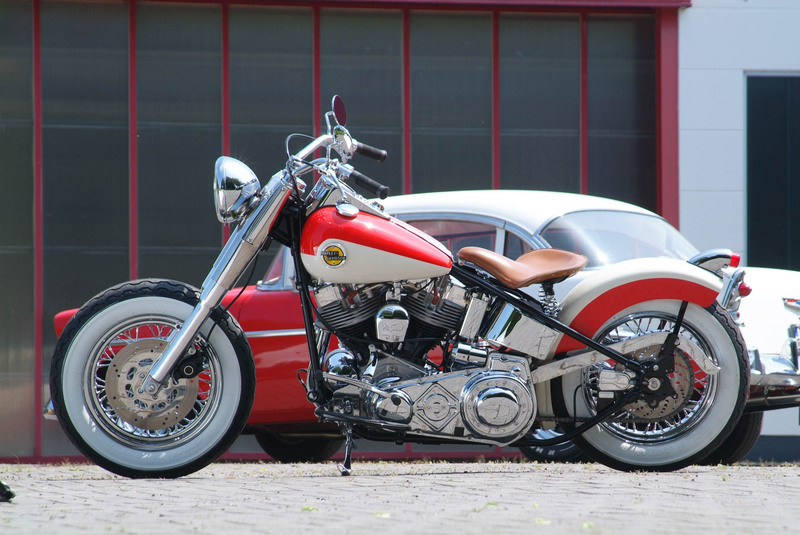 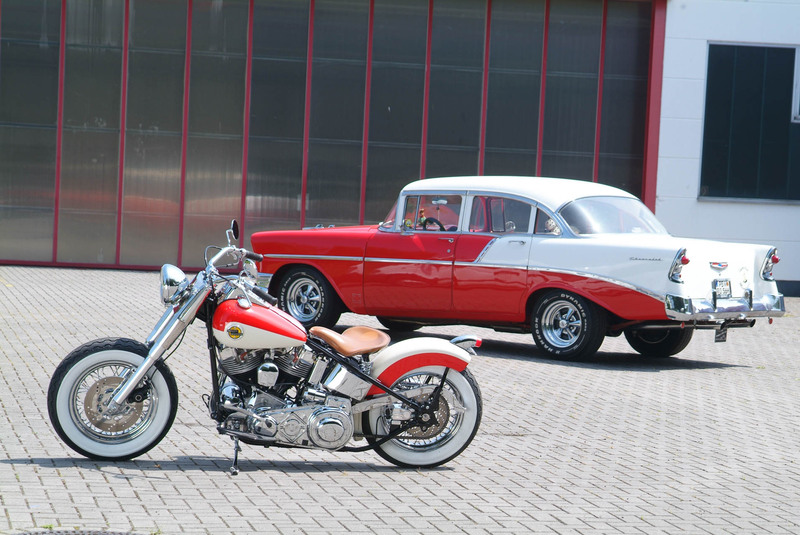 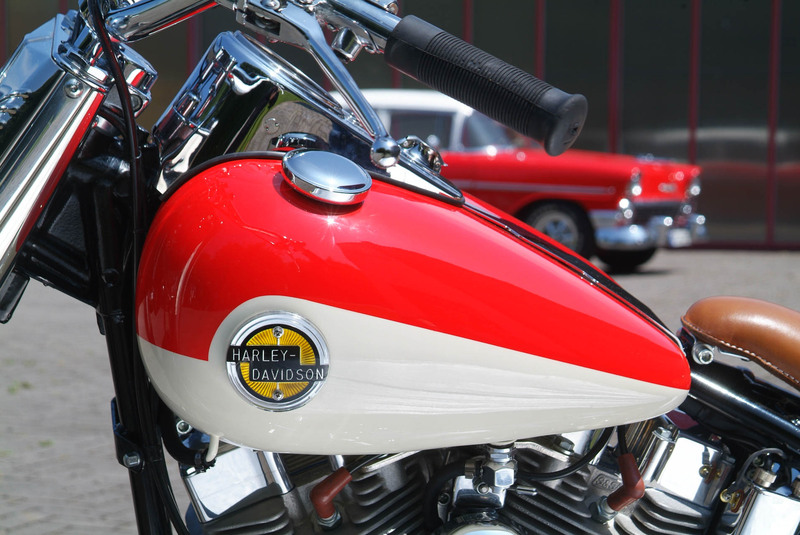 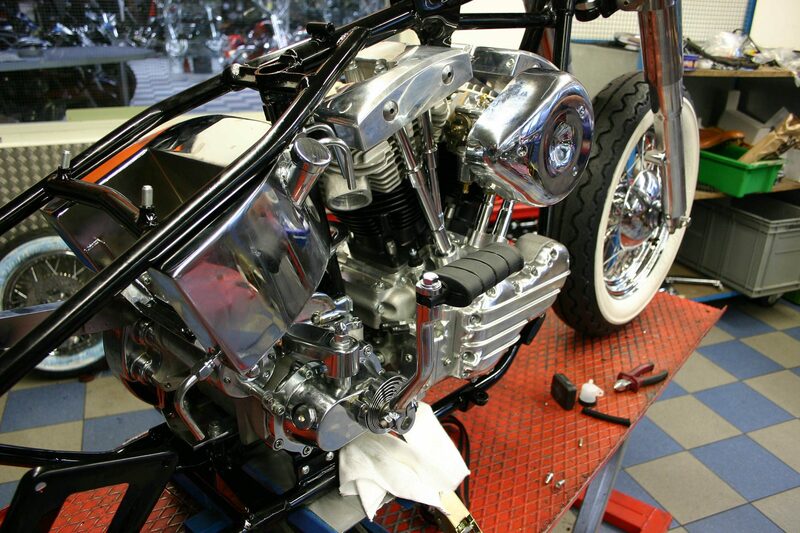 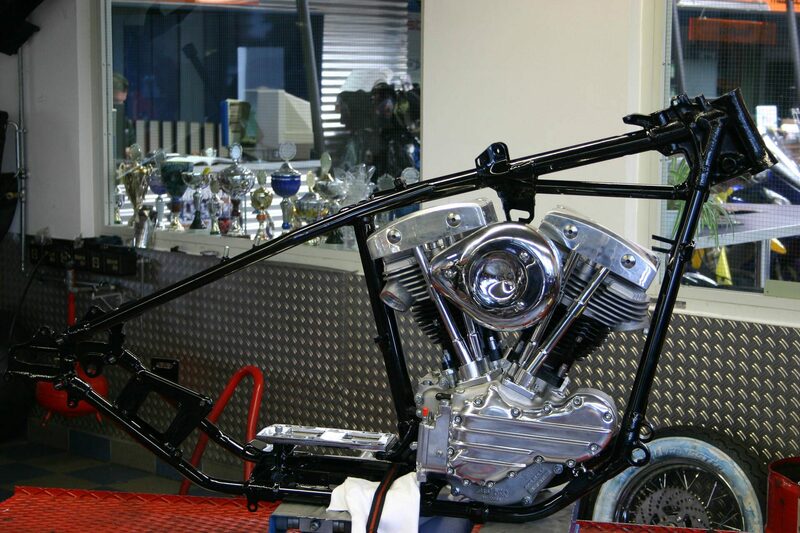 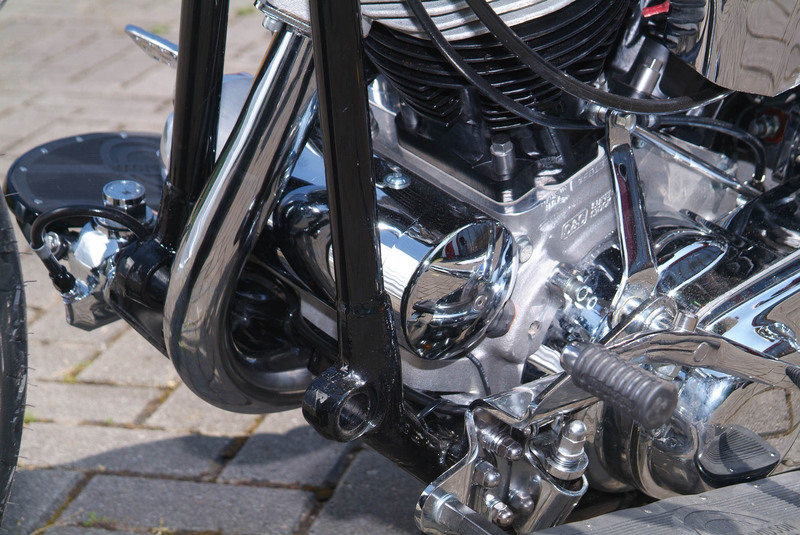 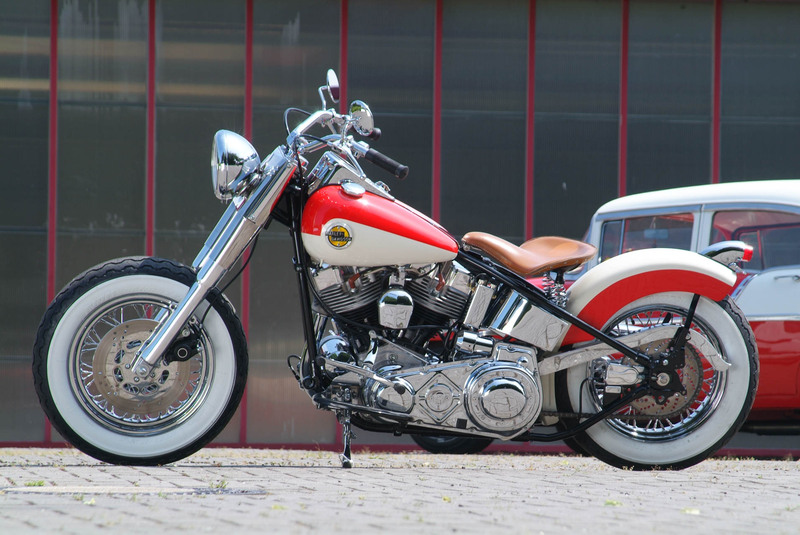 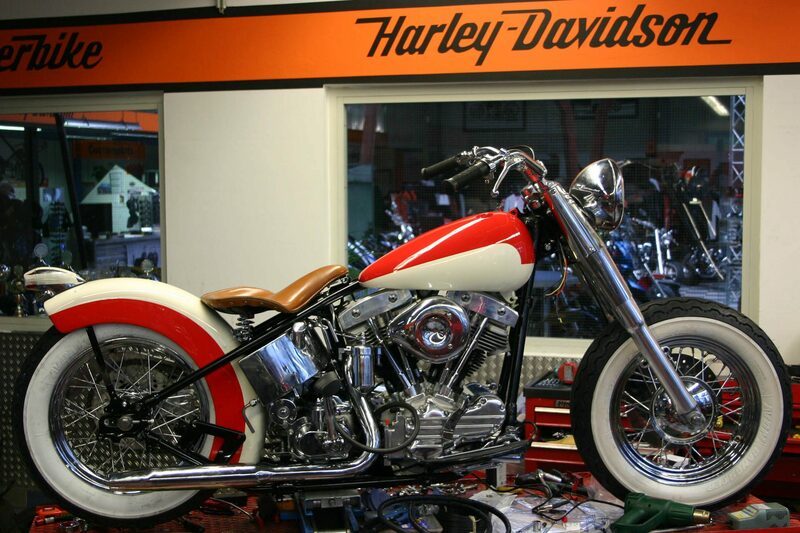 The Shovel Early Style S & S engine was chosen because it has a more modern technology and the necessary reliability despite its Old Style look. 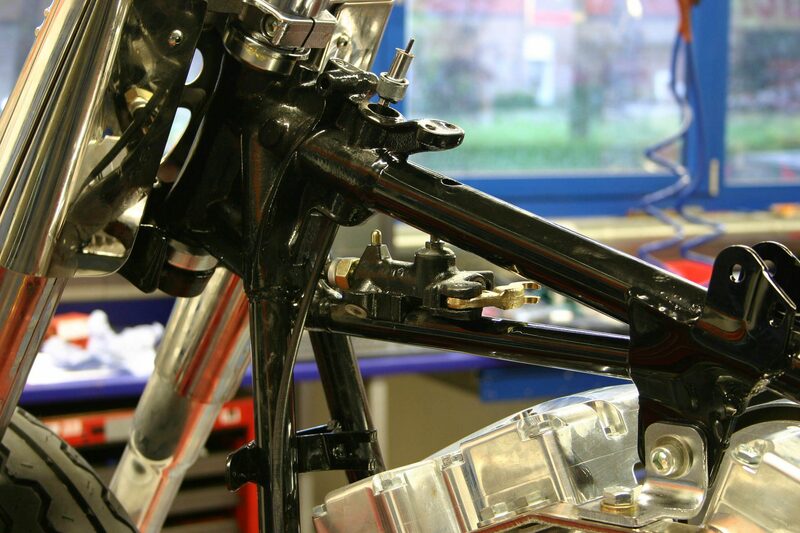 This allowed us to use the original old brake levers and clutch levers with cables to the right and left. 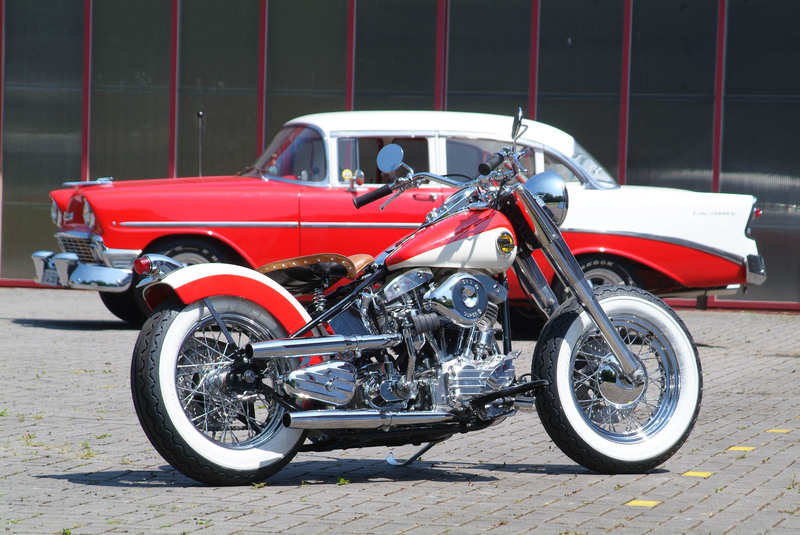 Spoked wheels and Avon Gangster whitewall tires were a must. 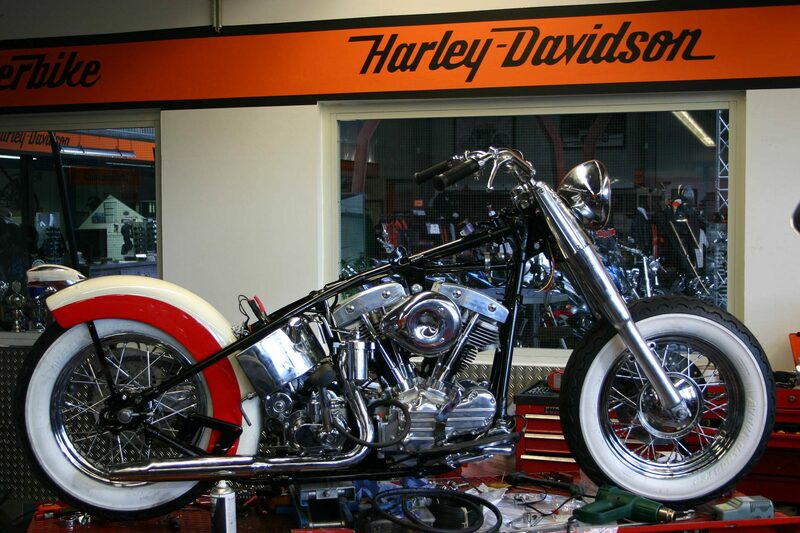 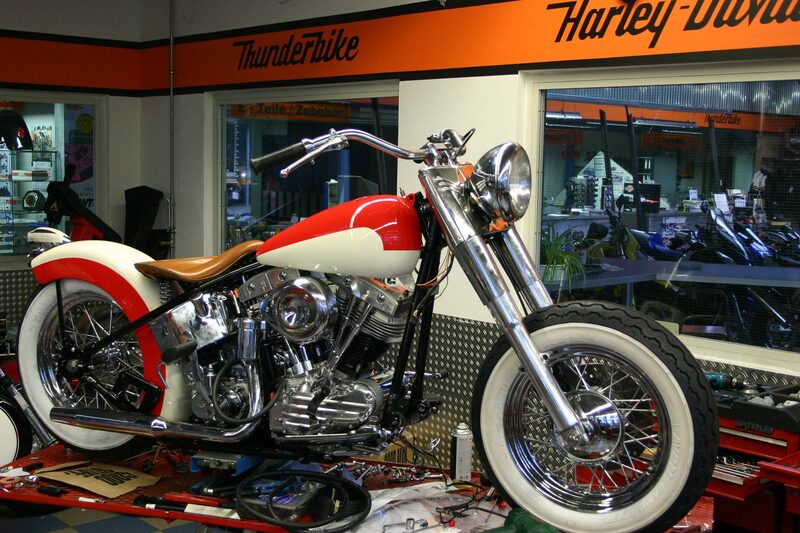 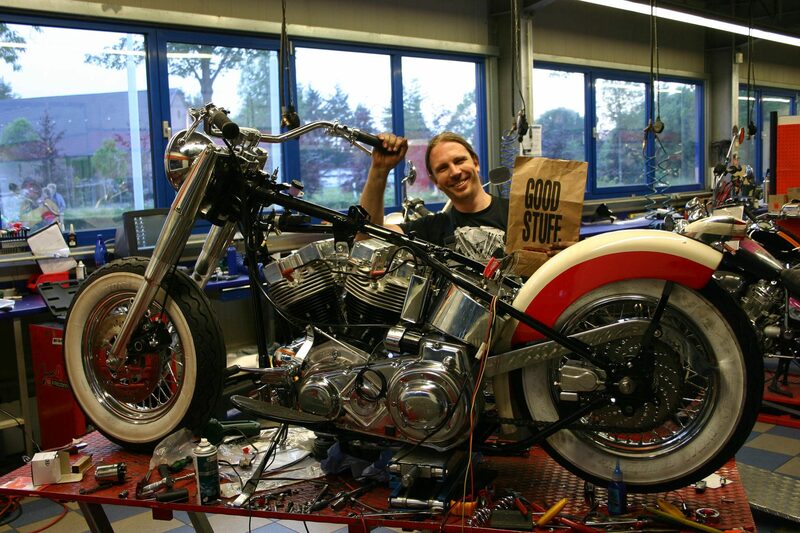 As was customary in bobbers back then, the front fender was disassembled and the rear was shortened at its kink. 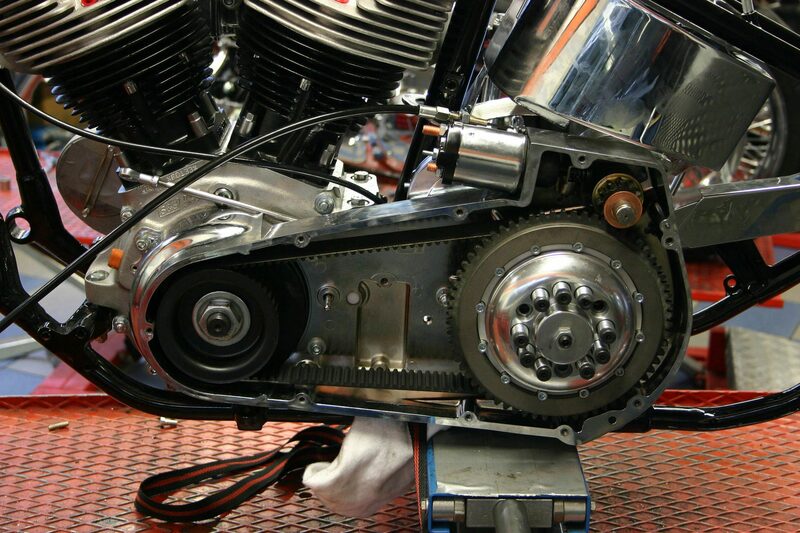 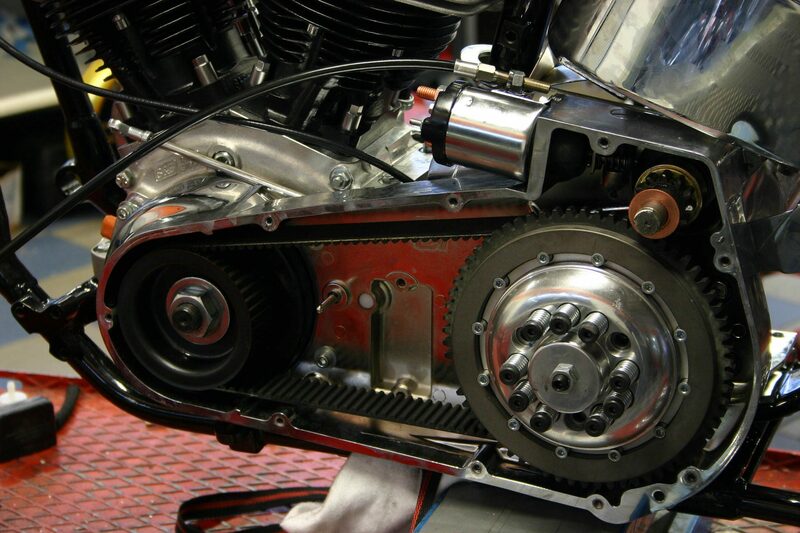 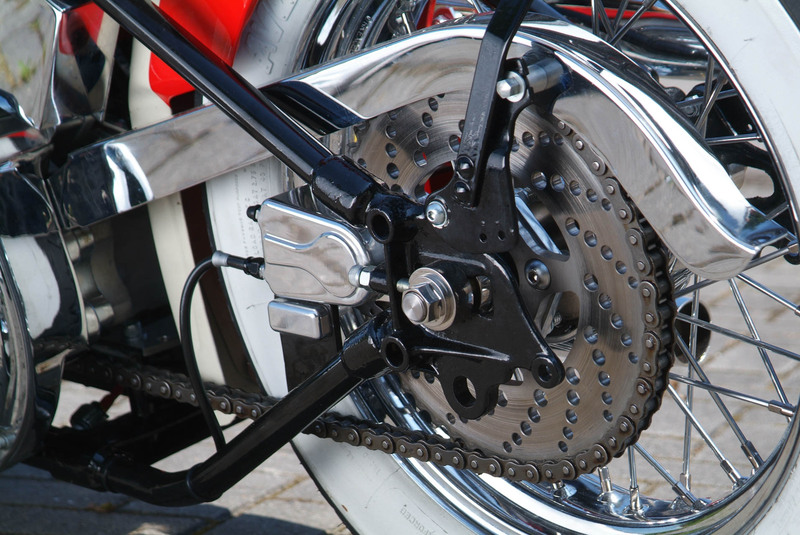 The rear pinion brake keeps the right half of the hub free, as with the old drum brakes. 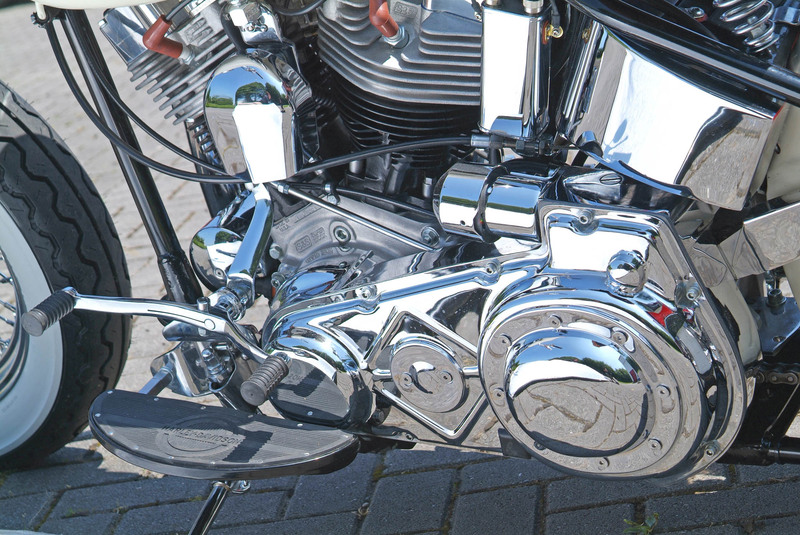 Under the classic primary lid is a modern dry clutch with Belt. 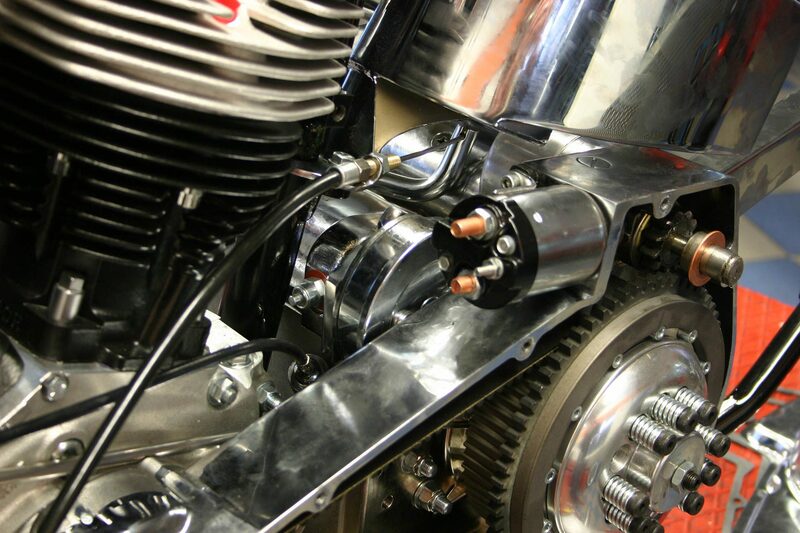 The front shotgun manifold was laid between frame and engine for more ground clearance.